The Coen brothers went through a ton of girls before finding Hailee Steinfeld. Steinfeld unlike most of the other girls tested, has a few credits under her belt. Nothing that I have seen, but obviously she caught the Coen's eye and that's enough for me. Honestly, if the Coen's liked her, then I'm sold. Hailee Steinfeld will play Mattie Ross, a 14 year old girl who learns of her father's murder and sets out to find the culprit. Along the way she enlists the help of a lawman played by Jeff Bridges. 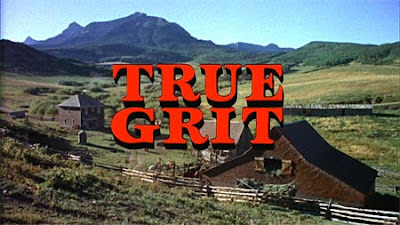 A role that was made famous by John Wayne in the original 1969 western. The Coen's went on record that their version will be far more realistic and gritty than the original. They said, "It's a little bit different from the movie -- and maybe this is just because of the time the movie was made -- is that it's a lot tougher and more violent than the movie reflects." Sounds good to me!